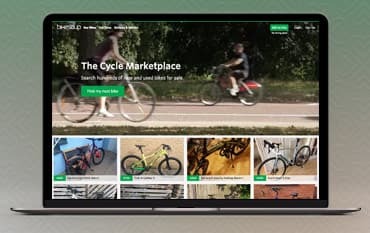 Bikesoup is the top cycle marketplace that allows you to search through hundreds of new and used bikes for sale. If you’re looking to buy a bike, you can discover models from huge names like Trek, Scott, Boardman, Raleigh, Ridley, Condor, Canyon, Pinarello and many more. Filter your search by price, size, type and groupset, you can then easily negotiate and ask questions about your bike using the Bikesoup secure in-app messaging and offers system. Once you’ve paid for your bike your money will be held by Bikesoup until it’s safely delivered and you give it the thumbs up. You can then check your new bike over and once you are happy you can mark it as ‘OK’ - this will then release the funds to the seller. If you’re looking to sell your bike you can list it for free using Bikesoup. With every one of your listings, you can accept, reject or counter offers instantly. You can also message buyers about any questions or queries they might have on the secure messaging app and get paid up front before the bike is picked up. Bikesoup will even write your bike’s advert for you by selecting bike models and components from their database. This helps buyers to find your bike, and you to make the sale hassle free! Bikesoup have a great reviews and opinion section on their website. In this section, you’ll find helpful articles and blog posts on popular road and mountain bikes as well as things like spring cycling collections, the best belt drive and internally geared bikes, UK handmade bikes, the best bikes for women and much more. You’ll also find a selection of useful buying guides and videos on interviews, reviews and cycling events. The content in the reviews and opinion section is updated regularly so you can always check back for new articles on all things bikes and cycling. If you’re looking to buy bikes you can choose from a huge selection of new and used models from names like Specialized, Giant, Cannondale, Cube, Bianchi, Carrera, Norco and many more. Choose from hundreds of bikes from all these manufacturers including mountain bikes, road bikes, electric bikes, folding bikes, tandem bikes, BMX bikes, children’s bikes and many other kinds of bikes in a variety of sizes for men, women and kids. Search for your bikes by condition, budget, size and groupset and discover a huge selection of bikes ranging from just £20 to £7500. Bikesoup is a one stop shop for buying and selling bicycles. Whether you’re a cycling funster, amateur racer, commuter, hipster, mile muncher, mountain biker, sportive rider or adventure cyclist, you can buy, sell and trade your bikes hassle free at Bikesoup. And, if you’re buying, you can use a Bikesoup discount code from us to save money on your purchase too- allowing you to enjoy a healthier, environmentally friendly mode of transport, for less. Whether you want to sell your old bicycle, find a vintage classic or buy the latest carbon fibre masterpiece, Bikesoup is at your service.